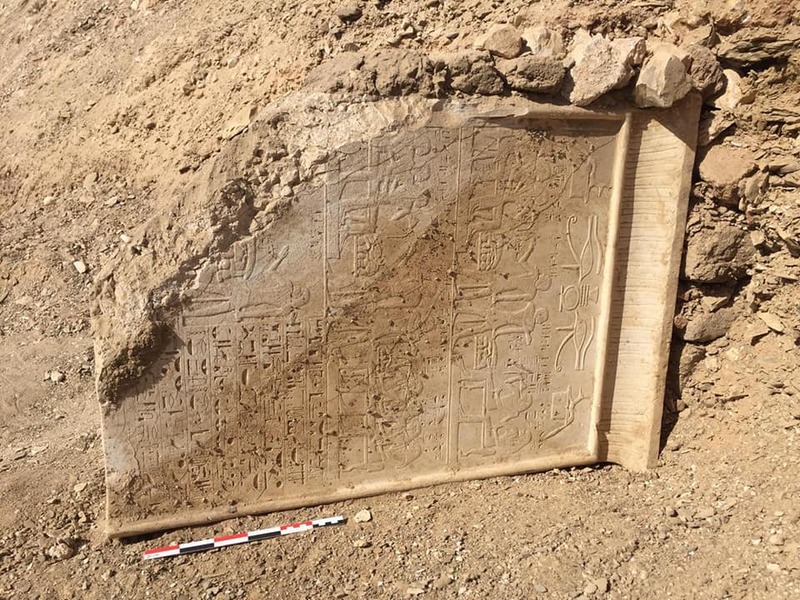 The joint archaeological mission by the Institut Français d’Archéologie Orientale (IFAO) and the University of Strasbourg has found a limestone stela and a wooden sarcophagus from the 18th Dynasty near the tomb of Petamenope in the northern area of El-Assasif Necropolis in Luxor. The stela, measuring 1m x 0,65cm, has three registers depicting offering scenes and the names of two senior officials, Tetiankh and Inenni, of the Theban tomb TT81. 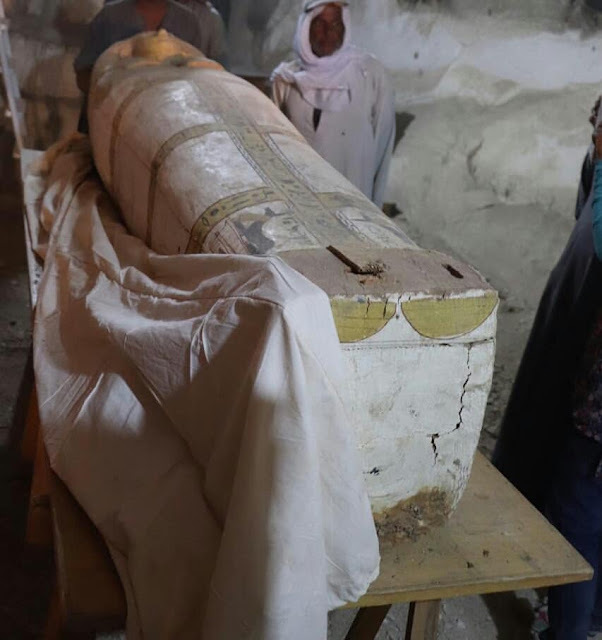 A well preserved sarcophagus made of wood and painted plaster, evidently belonging to a person named Pouia, was also discovered nearby.